The birds are chirping, the sun is shining, but the wedding bells aren’t ringing for this not-so-happy couple when a member of the wedding party is murdered! 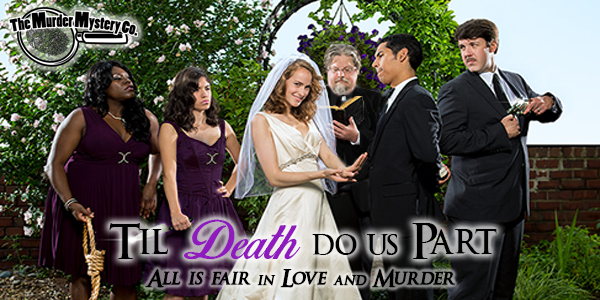 With a raging bridezilla and an unenthused groom on the scene, it may be happily never after in this nuptial nightmare. Trade clues and help the hapless couple figure out whodunnit so they can say I do before the wedding hour passes them by! The bride and groom aren’t picky, so you can wear just about whatever you’d like. 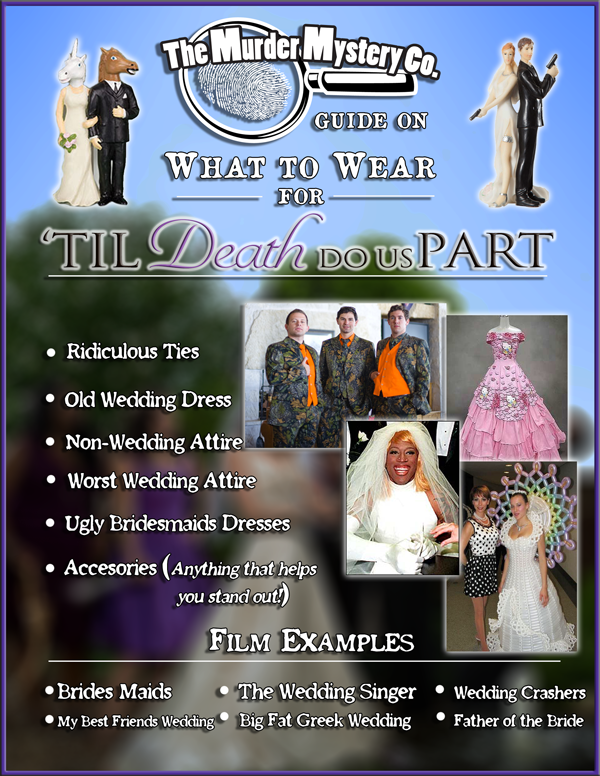 In fact, we encourage you to wear your own wedding dress or the most ridiculous wedding attire you can come up with. It’ll make their special day that much more special, so long as they actually get the chance to walk down the aisle! Requires 7 days advanced booking with payment due at time of booking. Murder mystery package will not be refundable unless canceled 7 days prior to the event. Room fees will follow our standard cancellation policy. BYOB for show, set-ups will be provided. Call Mike or Stacie at (860) 526-2014 to make your reservation.